The Midwest Book Review shares another glowing review for A Jar Full of Kisses, written by Heather Bennett and illustrated by Amanda Taylor Spiers. "Charmingly crafted and thoroughly entertaining," A Jar Full of Kisses is "unreservedly recommended for families." As little Bella snuggles down for bed, she can't believe what she sees! The Midwest Book Review praises Little Bella's Nighttime Wonderland, calling it "original, deftly crafted... beautifully an elegantly illustrated. Immediately and enduringly popular." Little Bella Gets A Lot of Love! ​A glowing review from Bookworm for Kids says Joy Fernandez's Little Bella's Nighttime Wonderland "takes the simplicity of nature and shows how wondrous it can really be." Check out the full review! When Bella looks out her window at night, the world comes alive! It's the perfect bedtime story, full of beautiful illustrations from Brianna Baker. Elephants, Bubbles, and Bubbly Reviews! There's an Elephant in My Bathtub by Connie Bowman was applauded by Reader'sFavortite.com! See what all the fuss is about; get your copy of There's an Elephant in My Bathtub today! There's An Elephant in This Review! ​Connie Bowman's There's an Elephant in My Bathtub continues to garner glowing reviews! StoryMummy.com says, "Have you read a picture book that leaves you with a big smile after you’ve finished reading it and then you flip back and read it again? Connie Bowman’s ‘An Elephant in my Bathtub’ is one such book." Amanda Owen, author of A Race to Save the Australian Outback, had a book reading and signing at Valiant Tea Co.! Valiant Tea Co., was formerly called Albion Tea Co., and is located in Lakeside, Richmond, Va. Check them out, along with Amanda Owen's book! ​being a writer, being an educator, and what she loves most about her home on the Eastern Shore. Pirates and Spooks and Book Reviews! ​"Enduringly popular... will tickle your funny bone and send a chill down your spine..."
​Susan Weiner's collection of eerie, funky poems, Pirates and Spooks, Beware! was praised in the Midwest Book Review! Santa's Sick of Cookies, But Loving These Rave Reviews! "Warmly charming and original," Karen Foley's Santa's Sick of Cookies got another great review in the December round-up of the Midwest Book Review! Give the Gift of A Grand Adventure! Helen L. Williamson, and her collection of short stories, Adventures in Dinglewood, were featured in the The Crozet Gazette! The article praises three female writers and their books, and shares how important (and easy!) it is to support local authors, especially around the holidays! Eastern Shore Teachers Are Getting A Little Help From Santa! One of our newer authors, Karen Foley, was featured in the Virginia NBCT Network newsletter! The feature tells us more about Karen's experience as a longtime educator, and where to integrate the book into your classroom! There's an Elephant in This Video! To accompany her debut children's book, There's an Elephant in My Bathtub, author Connie Bowman is proud to share her sing-along music video! If Santa's Sick of Cookies, What Does He Want? Debut author Karen Foley was featured in Eastern Shore First's November edition! The article covers her inspiration, teaching history, and goals for the future. Also in the article, find out how to order Santa's Sick of Cookies​ and get the free teaching supplement! Included is a list of Karen's upcoming Eastern Shore appearances. ​Charlottesville Family's Bloom Magazine interviewed Helen L. Williamson about her life and book, Adventures in Dinglewood. Find her profile on pg. 10, and get to know a little more about one of our authors! When Santa's Sick of Cookies, He Comes to the Classroom! Karen Foley's Christmas Tale, Santa's Sick of Cookies, is now a teaching tool! Download the Santa's Sick of Cookies - Story Elements ActiveInspire Flipchart for FREE here! Angie Miles and her new release, Short Pump Bump! : A Lyrical, Spherical Rhyming Romp Through Richmond, are featured on the cover of the January 2018 issue of Fifty Plus Magazine. Fifty Plus praises Short Pump Bump! for celebrating "all things Richmond" and calls both Angie and her book "Fun, upbeat, and thoughtful." Angie also runs Happy Reading Camp to help young readers. Congratulations, Angie! Ben A. Sharpton continues to garner accolades for his slick thriller The 3rd Option. Book review site Readers' Favorite recently acknowledged Sharpton's novel as the Gold medal winner in the "Action" category of their 2014 International Book Awards. The 3rd Option, which follows a man after he becomes a suspect in a bombing attack, was one of numerous entries in this year's contest. Reviewer Eileen Johnson writes, "A well-written thriller that explores the possibility of a 3rd option, this novel is a wonderful read!" The complete list of categories and winners can be found here. For more on Ben, visit his website. The word is starting to spread about Edward J. Denecke's can't-miss children's book, What Happens at School When You're Not There? Illinois publication The Lincolnshire Review recently profiled both Ed and What Happens at School, tracing the "whirring and whimsical" story from its origins to publication. The article, by Ronnie Wachter, can be found on The Lincolnshire Review's website. Check it out! For more on Ed, visit his website. What Happens at School When You're Not There? is available through Amazon. From Janitor-Turned-Author Edward J. Denecke comes the brand new children's book, What Happens at School When You're Not There? Available now from select locations, this title will be launching wide on September 1st! In this fun fantasy book, the author - a beloved school janitor - brings to life a whimsical tale about what happens after classes end for the day. For nearly twenty years, Edward regaled the students at his school with wild stories about what happened after the final bell rang. Now, his long-awaited story is finally being published. What Happens at School When You’re Not There? is full of imagination: bees, with their own keys to the school, unlock all of the doors; goldfish leave their tanks to have food fights; the hallways and classrooms fill with birds, alligators, snakes, and more! The school custodians have known about these visitors the whole time and clean up after the animals in the morning as if nothing happened. With colorful illustrations and crazy scenarios, this book is bound to capture any child’s attention by answering the question: what really happens at school after they leave? For more on the author (and to purchase a copy of the book directly), visit his website. Novelist Ben Sharpton's The 3rd Option was recently recognized for multiple 2013 literary awards. First, the thriller took home 1st place in Chanticleer Book Reviews and Media's Paranormal Awards in the "Urban/Edgy" category. Chanticleer's honors "recognize emerging new talent and outstanding works in the genre of Gothic and Paranormal Fiction" and the 2013 winners were "read cover to cover" and "made it through seven rounds of judging." For more these awards, click here. The 3rd Option was also the recipient of an Honorable Mention in the Action & Adventure category of Foreword Reviews' 2013 IndieFab Awards. These awards were determined by a panel of over 100 librarians and booksellers. A full list of winners can be found on the IndieFab website. What Happened to the Tooth Fairy? Featured in the Richmond Times-Dispatch for "Young Readers"
Graham Gardner's playfully hilarious new children's book, What Happened to the Tooth Fairy?, was recently featured in the Richmond Times-Dispatch "Young Readers" column for June. Profiled among other summer reads for the younger set, the paper promises that, "children will enjoy imagining the trials and tribulations that the Tooth Fairy faces in this whimsical, touching story." The full article can be found here. For more on the author, visit his website at grahamgardnerbooks.com. We would like to extend our congratulations to Kristen Rebelo, who was recently recognized by 3x3''s﻿ International Picture Book Show ﻿for "Distinguished Merit" for her excellent work designing the covers to Quail Bell Magazine's anthology collections, Airborne: An Anthology of the Real and The Nest: An Anthology of the Unreal. For more on this well-deserved honor, check out the competition's website. Congratulations, Kristen! You can view the award-winning covers on our Facebook page. Airborne and The Nest are available for purchase online at Amazon, BN.com, the Belle Isle Books store, and through the Quail Bell shop. 3x3 magazine, a publication devoted to "contemporary illustration," was founded in 2003. Thanks to all of the judges who worked with 3x3 on this undertaking. You can find them online at their website. Good news for nook owners: Panic: One Man's Struggle with Anxiety is now available for the Barnes & Noble eBook reader. Harry Floyd's examination of anxiety is perfect for younger readers struggling with similar issues. Find it here. Be sure to visit Harry on his website, Facebook page, and on Twitter. Sharpton on Day1: "We never shied away from controversy." Over the weekend, novelist Ben Sharpton (The 3rd Option) was featured as a guest blogger for theological media site Day1. In his inaugural piece, Ben talks controversy, the advantages of writing science fiction, and how very few modern issues are so black and white. You can read the piece here. For more on Day1, you can visit their website. Sharpton's novel The 3rd Option is available from online retailers and from other fine outlets. Visit Ben online for more information. We're proud to announce the release of the latest title from dynamic young author Harry Floyd, Panic: One Man's Struggle with Anxiety. In this fascinating firsthand account, Floyd details his struggle with anxiety to the point of paralysis, and the variety of practices and techniques he explored in the search for a solution. Not only for young people, Panic is a powerful examination of the value of acceptance that results from confronting and acknowledging anxiety. Panic: One Man's Struggle with Anxiety is available through our website, on Amazon, and from other fine retailers. For more on Harry, visit his website. VIDEO: HARPER Author on "Virginia This Morning"
William Stanfield, author of Harper: 48 Days to Change the Lives of Millions, was recently interviewed on WTVR's "Virginia This Morning" program. Watch the video below to learn more about William and his family's tribute to his daughter's incredible journey. Logan, Utah newspaper The Herald Journal recently published an article on Bill Jensen's historical fiction novel, Adder in the Path. The article, written by Lis Stewart, examines the novel through the subject of the Mormon faith's history, aspects of which are still contested today. It's a fascinating read and a testament to Jensen's intelligent and incisive writing style. Read the full article here. Adder in the Path is available for purchase through our website, Amazon, Barnes & Noble, and from other fine retailers. You can find out more about Bill by visiting his website. Last week, Sabrina from Breeni Books was kind enough to review Graham Gardner's brand new children's book, What Happened to the Tooth Fairy? In her review, Sabrina offers a rundown of the book's contents and touches on its humor and educational value. You can read the entire piece over on Breeni Books. While you're there, be sure to check out the rest of the site. What Happened to the Tooth Fairy? is available through our website, on Amazon, and from other fine retailers. Want your local indie bookstore or library to carry a copy? Be sure to request it! For more on Graham & his books, check out Graham Gardner Books on Facebook and Twitter. Readers in Central Virginia now have even more opportunities to get their hands on the original fantasy, A Chookamook Came Over for Breakfast. Beyond the traditional outlets (and online! ), new stores in Midlothian and Richmond are now carrying Cliff Davis' unique adventure for young readers. Stop by Buford Road Pharmacy, Book Exchange, or Kathy's Kopies to grab your copy of a story that's perfect for kids and parents alike. Chookamook is also available here on our website and through Amazon. Say hello to Cliff over on the Chookamook Facebook page as well! Children's book fans, rejoice! Author Graham Gardner and illustrator Nancy LeBlanc have re-teamed to produce What Happened to the Tooth Fairy?, a children's book sure to have both young readers and their parents smiling. From the creative duo behind the holiday hit The Santa Beacon, this new children's adventure is now available for purchase online and will be hitting stores soon. Oliver is excited to lose his big front tooth. It means a visit from the tooth fairy! But when Oliver wakes up, he discovers something awful: the tooth fairy never came! What could have happened to her? How could she forget to visit? To solve the mystery, Oliver comes up with a plan: he’ll build a fairy trap and ask the tooth fairy herself! What Happened to the Tooth Fairy? is available in our bookstore and on Amazon. For more on Graham, check out his Facebook page. Late last year, Belle Isle Books was proud to publish A Young Life of Light, a profoundly poignant biography of Patrick Gorman. Written by his grandfather, Harry Hathaway Warner, this title profiles the positive impact Patrick had on all who knew him during his ultimately too-short life. Since the release of the book, reviews have been pouring in from readers and media alike, praising the title's touching message and commenting on the inspirational but tragic tale. The Richmond Times-Dispatch called it "an uplifting work of love" while The Roanoke Times wrote that it was "a story that will touch all who read it." Find more reviews here and check out the book on Amazon and the Belle Isle bookstore. Quail Bell Magazine editor extraordinaire (and one of the driving forces behind Airborne and The Nest) Christine Stoddard recently guest posted over on the Brooklyn Zine Fest blog. In the piece, Christine discussed the upcoming festival as well as the process of navigating self- and small press publishing. It's a neat read, so go check it out on the BZF's site. Quail Bell will be attending the Brooklyn Zine Fest at the end of April. You don't need to wait to get your hands on the anthologies, however (though they'll be available at the fest), because you can grab them online now! Now Available: Redeemed by the Light by Keith W. Rustin Jr.
Belle Isle Books is pleased to announce the release of Redeemed by the Light: With the Faith of a Mustard Seed by Keith W. Rustin Jr. The title is now available through our website, Amazon, and Barnes & Noble. There’s not much that can go wrong in a life that Keith Rustin, Jr. hasn't experienced. Crippling addictions to drugs and alcohol, a broken marriage, tenuous housing situations, and depression were just a few of his troubles. In his inspirational memoir, Rustin explores how he overcame his circumstances and uses his story as a beacon for young men facing their own difficulties. You can find the author on Twitter or at bythelight.org. Congratulations to Belle Isle author Ben Sharpton, whose novel The 3rd Option was recently chosen as the winner of the 2014 Reader Views Reviewers Choice Award in the "South East Regional" category! Sharpton's novel was also recently nominated as a finalist for the ForeWord Reviews Book of the Year Award in the "Action & Adventure (Adult Fiction" category. Kudos to Ben on these well-deserved honors. The 3rd Option is a unique thriller about a mysterious new technology that will have readers talking long after finishing the final page. It is available for purchase here. ​& Kristen Rebelo (Airborne: An Anthology of the Real and The Nest: An Anthology of the Unreal). It was a wonderful event and we can't wait to be back next year. Thanks to the Festival staff and everyone we met on Saturday! 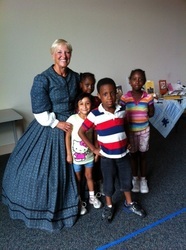 For more photos from the book fair, check out our Facebook page. The start of 2014 brings the latest edition of the VMI Alumni Review magazine. This issue features an item on Class of '57 grad Harry Warner and the excellent biography of his grandson, A Young Life of Light. Whether you're an alumnus of this historic institution, have a family member who attended, or are just interested in Virginia's military history, the entire issue is worth a read. Check out a link to the story here. Thanks to the VMI alumni association for the mention! A Young Life of Light is available through our website, from Amazon, and at fine retailers near you. If they don't have it, request it! Bill Jensen's epic novel was recently featured over on The Page Walker. Thanks to Louize Gonzales for the post - go check it out! You can find Adder online at these locations! Give the gift of an ebook this year with The 3rd Option by Ben Sharpton! Recently released for Amazon's Kindle, this techno-thriller will have you turning pages (electronically, of course) until the novel's exciting conclusion. Visit Amazon and grab a copy for the ebook lover in your life. Just in time for the holidays, the Kindle Edition Graham Gardner's The Santa Beacon is now available! What better way to enjoy this heartwarming holiday story with your whole family? The Kindle Edition makes it easy to take this tale on the road when visiting friends and family over holiday season. Head on over to Amazon to get your copy today! Harry Warner's touching biography of his grandson Patrick continues to garner positive attention. Recently, The Roanoke Times Books Editor Suzanne Wardle reviewed A Young Life of Light, complementing its "heartfelt prose" and the book's conveyance of "Patrick's unexpected yet undoubted effect on people he met." 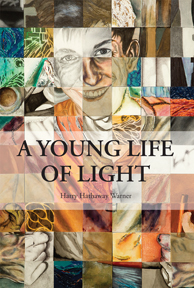 The Richmond Times-Dispatch recently posted a compelling feature on author Harry Warner and his new book, A Young Life of Light. The article by Bill Lohmann provides insight into the creation of the book and the profound impact Harry's grandson Patrick had on the lives of everyone who knew him. Lohmann's article can be found here. A Young Life of Light is available for purchase from our website, on Amazon, and from fine retailers in your area. Calling all eBook readers! William Jensen's Adder in the Path is now available for Kindle! Jensen's chronicle of the Mormon War is a gripping novel perfectly suited for the eBook format. Buy it through Amazon, give it as a gift, or pick it up for yourself! Visit Amazon for more details. What's more, Bill recently did a guest post on the book over at Tara Chevrestt's blog, Book Babe - check it out here! More Reviews for Juan Patron! Paul L. Tsompanas' captivating biography of an overlooked New Mexico pioneer continues to garner positive attention, as it was recently profiled in The Communicator, Penn State University's College of Communications publication. Check out the story here! Juan Patron was also reviewed in a recent issue of Valley Business Front. Reviewer Richard Raymond, III calls it, "...a well-written, well-edited book..." and a "fascinating story." The full review can be found here. The praise for Ben Sharpton's page-turning thriller continues, as Jennifer Hass of blogcritics called it "full of attention-getting activity" with "Excellent flow!" Check out the full review here. Be sure to visit Ben's website, and check him out on goodreads! Grab the book from our site, or find it on Amazon and Barnes & Noble! New Trailer for Strawberry Wine! It's here! The new trailer for Strawberry Wine by Lee Adams has arrived. You can purchase this title through its book page, and don't forget to visit lee-adams.com for even more about this summer read! Paul L. Tsompanas on the Airwaves this Month! Paul L. Tsompanas, author of Juan Patron: A Fallen Star in the Days of Billy the Kid, recently appeared on XTRA 99.1 FM in Gloucester, VA. Check out the interview below, and be sure to visit the book page for more info! Author Roger Loring is in the news this month! Roger's book was recently featured in The Daily Press' Writer's Block column and also makes an appearance in the June 20th issue of the Glo-Quips newspaper. Glo-Quips is available in Gloucester, Mathews, and West Point, so be sure to hit the newsstands before they run out! All of this attention surrounds the debut book of wit & wisdom by Belle Isle Books author Roger Loring! Why Men Don't Ask for Directions provides answers to some of the truly timeless queries: why spitting has helped make baseball the slowest game on the planet, how a bill becomes a law, assuming Congress ever actually votes on a bill, and many more! Chick Lit Central Reviews Strawberry Wine by Lee Adams! A Glowing Evaluation! We're pleased to announce that our friends at Chick Lit Central have posted a new review of Lee Adams novel, Strawberry Wine! Enjoy this excerpt below, and visit Chick Lit Central for the full review. Special thanks to blogger Allie Smith for the review. ​donation, child abuse, with elements of violence, reads like a beach book about a summer romance. Tanya Smith receives a call from a lawyer who informs her that her long lost friend Marie has died and left her something in the will..."
-Allie Smith, Chick Lit Central. Adder in the Path Featured in Roundup Magazine! The Western Writer's of America's Roundup Magazine features a review of Adder in the Path this month! Visit them online, and read the full review! "The author portrays such individuals important in the early years of the Church, like Joseph Smith, Sydney Rigdon, and particularly Orrin Porter Rockwell, quite clearly...The historical context of the Mormon conflict is also well done." ~Candy Moulton, Editor of Roundup Magazine. American Hero debuts to praise and excitement! ​of Brandylane Publishers, Inc. in Richmond, Virginia. The book will be released on March 1, 2013." - From The Chestertown Spy, read the full review here. William Jensen signing Adder in the Path at Hastings Books! Hastings in Logan, Utah. 50 East 4th North Logan, Utah. 4 p.m. to 7p.m., Saturday, February 16th. American Hero: John Marshall, Chief Justice of the United States gets Pre-publication Praise! Visit the book page for American Hero: John Marshall, Chief Justice of the United States to read advance reviews and grab some pre-order savings! Adder in the Path receives praise for integrity in Historical Fiction! Darryl Wilkinson of The North Missourian newspaper shares his thoughts on William Jensen's Adder in the Path in a new review. "...One exception is the book “Adder in the Path” by William Jensen. To be sure, this is a fictional novel. There is an abundance of names and factual details that give a convincing portrayal of rough times in the early days of Caldwell and Daviess counties. Jensen uses two very different families to describe the intolerance, hatred, and violence of those times. Mormon or Gentile ...neither side is spared because people, after all, are people (Romans 3:32 comes to mind). I’m glad I read the handsome paperback provided to me by Mr. Jensen. His writing style is sometimes cumbersome, and the repetitious name-calling is annoying. But the integrity in putting drama to a controversial historical period shows through. And I found my interest in crescendo to the book’s final page. “Adder in the Path” is an extension from a short history and analysis of the Mormon War that Jensen wrote while he pursued graduate work at Kansas State University. I now find myself curiously wanting to read that more narrowly focused work ...and, isn’t that the measure of good writing?" - Darryl Wilkinson, The North Missourian. Dr. Graham Gardner talks with CBS News 6 on Virginia This Morning! Graham Gardner goes live on CBS Channel 6's Virginia This Morning Show to discuss his holiday children's book, The Santa Beacon. We're honored to have Kate Hall, the founder of Richmondmom.com, review The Santa Beacon. Please enjoy the excerpt below, and visit the site at the link above to take in the entire review. "Of all the gifts we love to see under the tree, books are the most treasured. No batteries required and not clunky or awkward to find space for, the pages of a book while reading with a child become magical memories of the holiday itself. Southwest Media and Juan Patron, A Love Affair. Book reviewers (especially New Mexican book reviewers) are raving about Juan Patrón. From the print world to cyberspace, it's good to see a historic figure's legacy continue to inspire people from his home. "An excellent addition to anyone’s Billy the Kid library. Well done!" "New Mexico is known as the Land of Enchantment. What it is, truthfully, is a land of historical significance. My husband and I enjoy visiting historical sites and reading about the people who lived in there in the past. We have been to Lincoln and Ft. Stanton several times, but I don't recall seeing a thing about Juan Patron. That's why I was drawn to this book." -Jo Ann Hakola, The Book Faerie. For more about Paul Tsompanas and Juan Patron, visit his webpage at www.paultsompanas.com. Strawberry Wine Garners Outstanding Review! Strawberry Wine by Lee Adams has been racking up some excellent reviews lately! Read an excerpt below from A Novel Review and take in the rest at the link above! Special thanks to Charlotte Lynn's Reviews for connecting us with a fun, insightful blog and reviewer. "Tanya Smith spent every summer at Laurel Lake with her family. At the lake she has a special group of best friends only this year there is an addition to that group with Marie having moved to the town. When that summer is over and Tanya leaves she leaves with a broken heart and does not plan on returning to Laurel Lake for any long term stays again. Ten years later, Tanya gets a call from Marie’s lawyer that forces her to deal with past and make a future that she never dreamed of. She finds herself back at Laurel Lake and facing what she left behind. ​the wonderful visits I had during my childhood to my grandparents. The summer friends I made and the memories I still cherish..."
Graham Gardner's The Santa Beacon comes home to Richmond for the Holidays! Graham Gardner will be appearing at local shops and booksellers throughout the holiday season, presenting and signing copies of his new children's picture book, The Santa Beacon. Stay tuned for more updates and events! Order this anticipated holiday gift for the youngsters in your family here. Graham would love to sign it! Friday, December 7th: At Chop Suey Books in Carytown, 3:30pm-4:30pm. Friday, December 7th: At Book People in the Near West End, 5:00pm-7:00pm. Friday, December 14th: At Richmond Public Library - Ginter Park Branch, 4:00pm-5:00pm. Saturday, December 15th: At Fountain Books in Shockoe Bottom, 2:00pm-3:00pm. Gregg Valenzuela's book of Poems inspired by his homeland in the Northern Neck of Virginia just received a review from The Daily Press, excerpted below! "Poetry fans in Hampton Roads should pick up “Poems from the Northern Neck,” by retired doctor turned poet Gregg Valenzuela. The Virginia native (and board certified gastroenterologist and heptologist, according to the business card that came with the book) writes about the Tidewater area. According to the bio on the back of his book, Valenzuela (pictured in a bandana that offers no hint of the medical profession from which he’s retired) is a member of the Poetry Society of Virginia. His poems capture small moments of his own life and images that will be familiar to anyone who knows what it’s like to live in Hampton Roads. Read the entire review here! Congratulations Gregg! Paul Tsompanas' critically acclaimed Biography of Juan Patron continues to grab rave reviews, and honor a great New Mexican. Read what the reviewers are saying below, and on the our book page for Juan Patrón: A Fallen Star in the Days of Billy the Kid. “This book gives us a very refreshing account of the most over-reported war on American soil. Free from the traditional Anglo myopia bias, the reader finally gets a fair account from the Hispanic perspective. And fair it is. We see a fine native son as a real leader—warts and all--- measured against his exact opposite, Billy the Kid. This is good writing and good history. Before I comment on William Jensen’s historical novel, “Adder in the Path,” I want to say I admire anyone who can write a book of any kind. I’ve made several stabs at writing a novel myself, and I’ve always ended up frustrated. Jensen’s book compounds my frustration. Here’s a 74-year-old retiree who didn’t major in English and hasn’t had any formal instruction in how to write a novel, but he wrote a good one. Maybe the adage is true: There’s a novel inside every journalist, and that’s where it belongs. “Adder in the Path” is about two families on opposite sides of the so-called “Mormon War” in Missouri during the 1830s. On one side is John Evans, a freethinking schoolteacher dominated by his wife, a fanatical convert to The Church of Jesus Christ of Latter-day Saints. On the other side is Sam Devine, an alcoholic who beats his wife and his son when he’s not busy in the brothels of the towns near the family’s ramshackle homestead. Like many others in northern Missouri, Devine is afraid the Latter-day Saints, who are trying to build the City of Zion, will soon outnumber the gentile settlers and control the area’s government. Jensen portrays most of the Mormons as closed-minded zealots and most of the Gentiles as uncouth drunks. Caught in the middle is Devine’s son, Jake, who hates his father and prefers the company of the area’s Indians, and the Evanses’ pretty teenage daughter, Jennifer. Like her father, Jenny is a freethinker and resents her mother’s rigidity. It’s obvious early in the book that Jenny and Jake are destined to become an item, although it takes more than a hundred pages for them to get together, which one critic concluded was a flaw in the plot. I didn’t have a problem with that, however. In fact, I admired how Jensen wove the plot into the conflict’s history. Adder in The Path receives 5 Star Review! Jensen has managed to weave a richly complex story about a multifarious and little known piece of American history, the Mormon Wars. The true historical events portrayed in the book, around which the fictional characters face personal, cultural, religious and violent conflict, may be interpreted to be the result of any of several factions trying to establish dominance and a desired society at the time. Depending on one's perspective, the Mormons, Missourians or Native Americans might be perceived as innocent victims or threatening aggressors. What Jensen manages to do so well is peel away the layers of history, political and social correctness and institutional influences (such as the preferences of the Mormon Church in which he was raised before his beliefs evolved into something more personal and intuitive.) His characters are not simply stock figures reflecting the most obvious representation of Mormons, Protestants, Native Americans and so forth, but rather they are complex entities who must struggle to sort out the bombardment of moral and social influences that abounded at the time. ​get caught in the inexplicable social quagmire represented in the book. It is full of hard working and (sometimes) harder drinking homesteaders who consider themselves the rightful residents of Missouri and square off against the newly arrived religious fundamentalists looking to form an impossibly perfect society, while the indigenous people are forced to succumb to both of these invading factions. Amongst it all, Jensen manages to provide moments of great humanity and humility, simple emotion and even the love for and loyalty of a faithful dog. Adder in the Path is a fine novel that is easy to read, historically enlightening and rooted in the deep emotional history that, to this day, influences the Mormon culture and (in their words) the "Gentiles" who, 180 years later, are still leery of the tightly managed and close-knit Mormon institution. The Santa Beacon and Graham Gardner are Coming to Bookstores! Introducing The Santa Beacon by Richmond, VA author Graham Gardner! Graham will be presenting and signing his new book at the following locations and dates with more to come. December, 7th 2012 from 5-7pm at Book People. Lee Adams, author of Strawberry Wine, wins Praise from Fellow Novelist. I absolutely fell in love with Laurel Lake and want to move there! I'm a sucker for coming-of-age tales that trace the lives of close friends from their teen years into adulthood, and Lee Adams doesn't disappoint. The plot largely pivots on one misguided act of betrayal and the resulting fallout, which puts an end to a seemingly idyllic summer. Happily, that lost innocence and love is rediscovered, and Adams ties things up with a satisfying ending. The memorable cast of characters features people you'd want to be friends with in real life-- authentic, likeable, and sympathetic. You connect with them on such an emotional level and care deeply about their fates. They were all difficult to forget after I closed the book. There's also quite a twist at the end. Bravo to Lee Adams for an engrossing, well-told story! I'm eager to see what she writes next. Congratulations to Paul Tsompanas! He has joined the Chesapeake Bay Writers, a chapter of the Virginia Writers Club. He will be introducing his book, Juan Patrón: A Fallen Star in the Days of Billy the Kid, at the VWC annual meeting at 10 a.m. Nov. 3 at the Commonwealth Club in Richmond. One of Belle Isle Books new novels, Adder in the Path, by William Jensen received a write-up in The Fence Post! Book critic Candy Moulton offers her take on Jensen's work of historical fiction and its Mormon roots. Christ of Latter-day Saints with the old settlers of Missouri. ​Orrin Porter Rockwell, quite clearly. And the historical context of the Mormon conflict is also well-done. Young Jake Devine is hunting with his dog Rufe as the story opens, and we quickly meet his abusive father and downtrodden mother. But then the story shifts to Jenny Evans, her father John, a teacher, and her mother, Agnes, who has become a Mormon fanatic. The Evans family follows the Mormon faith to Kirkland, Ohio, and ultimately to northern Missouri, where they are involved in the significant events of the conflict there in the 1830s. Although I liked the history for the most part, one frustration with this storyline is that Jake Devine and his family disappear from the book for more than a hundred pages. By the time they are back in the story and Jake meets Jenny Evans, it is hard to recall who he is. But Jensen keeps the story moving along at a fairly rapid clip, and while there are some plot flaws, and a few historical inaccuracies, the book held my interest on a recent rainy (believe it or not!) Saturday. ❖"
-Candy Moulton, The Fence Post. You can find the original article here. Throw your two cents in and leave a comment! Acclaim for Paul Tsompanas' Biography, Juan Patron. Paul Tsompanas and his new history book, Juan Patrón: A Fallen Star in the Days of Billy the Kid, garnered some serious acclaim on the book tour trail through New Mexico. The book was well received at all of Tsompanas' stops on the tour, which included book signings in Lincoln, Santa Fe, Roswell, Santa Rosa, and Puerto de Luna. A number of Patrón's descendants attended the events, some of whom had no knowledge of each others' existence. Therein, we witness the true power of literature - the ability to unite people across time and distance. caused by fanaticism and hypocrisy—crucial lessons that resonate long after the last word. River Reader bookstore, Lexington, Missouri, lecture and signing, August 15th, 7:00 pm. Clay County Historical Society, Liberty, Missouri, lecture and signing, August 16th, 7:00 pm. Ray County Historical Society Richmond, Missouri, lecture and signing, August 18th, 2:00pm. Weller Book Works, Salt Lake City, Utah lecture and signing, September 27th, 7:00pm. The King's English Salt Lake City, Utah, lecture and signing, October 23rd, 7:00pm. Paul Tsompanas, author of Belle Isle Books new biography, Juan Patron, has been on the road taking his story of a small town's big hero to the public. Below, you can read the Fredericksburg Freelance Star's coverage of his signing event there. Above left: Geraldine Susi with 4 of the 30 member audience who attended her reading at the George E. Beatley, Jr. branch library in Alexandria. 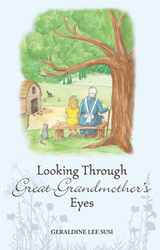 Center: Cover of Looking through Great-Grandmother's Eyes. Find out more about Looking through Great-Grandmother's Eyes here!